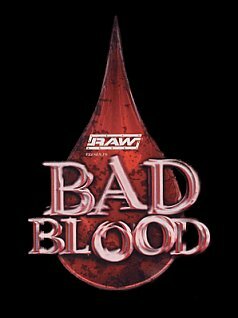 WWE Bad Blood (originally Badd Blood) was a World Wrestling Entertainment professional wrestling Pay-Per-View event that was held in 1997, 2003, and 2004. Bad Blood 1997 was originally titled Badd Blood: In Your House and took place on October 5. In 2003 and 2004, it was an exclusive event for the Raw brand. The pay-per-view is known for introducing the Hell in a Cell match, which was the main event all three years the Pay-Per-View was held. In 2005, One Night Stand replaced Bad Blood when Vengeance moved to June and The Great American Bash moved to July.